Do you have rubbish slowly building up at home? Quickly running out of space or simply allowing household junk to pile up? Paul’s Rubbish Removal can help sort all your rubbish problems out! We service the entire Sydney region to give the locals the best possible prices on rubbish removals in the industry! Are you located in the Eastern suburbs? Or maybe you are located in North West Sydney? How about out in the Greater Western Suburbs? No matter where your home is located, we’ll attend your site to clear out your rubbish for you. Don’t be physically and mentally stressed over your pile of garbage, get us to handle the situation now! We are simply unmatched when it comes to amazing rubbish removal service in Sydney. We offer the cheapest household rubbish removal in all of Sydney whilst still having fast and efficient services. We highly value our customers to ensure that they receive the best services possible. 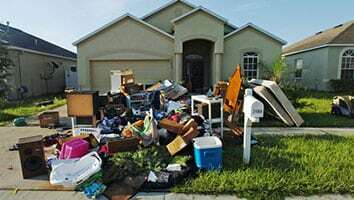 Flexible Sydney Rubbish Removal – We’ll take your rubbish at your convenience! This is obvious through our 24-hour service to work around your tight schedule. Our flexible working time allows us to come out at a time that best suits you. Whether it is in the early morning, afternoon or late at night, we’ll arrive at your doorsteps to start removing your junk. At Paul’s Rubbish Removal, we’ve provided same-day rubbish collection services for the past 10 years. We work day and night to ensure that you receive the fullest satisfaction as a valued customer with us. 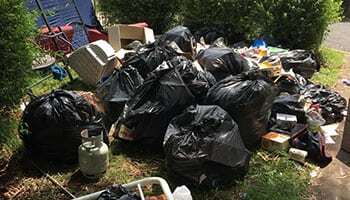 We’ll come directly to your house anywhere in Sydney and hand remove your rubbish right away. We are flexible to work around your tight schedule to get the job done. Whether you’re looking to dispose of household junk such as old computers, mattresses, television screens, large tables, old furniture or even old rusted car parts, Paul is the man to call. We’ll arrive with all the necessary equipment to remove all your household junk. We’ll have your household junk disposed of and recycled appropriately. Paul and his team is committed to total excellence and will always work to ensure there is absolutely no mess left behind. We respect your household and will always treat it as if we were cleaning up our own.  We are greenies when it comes to recycling and protecting our environment. We take every step necessary to achieve a healthy and clean future. 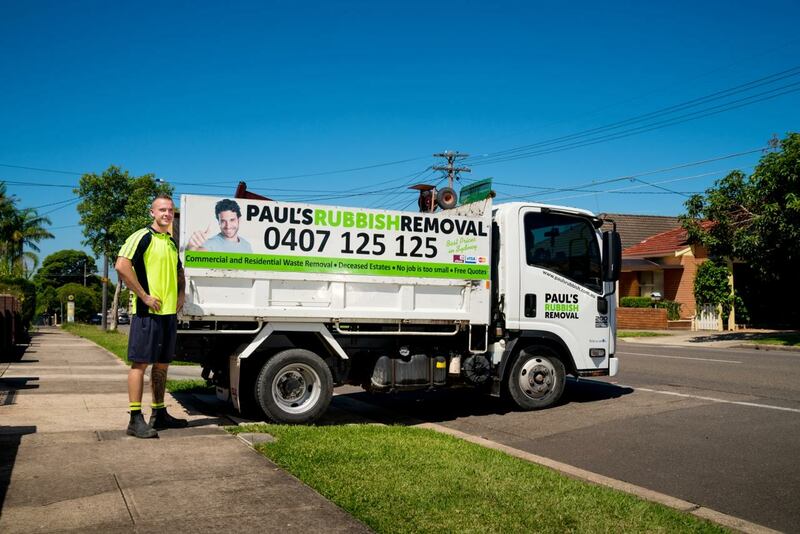 Call Paul’s Rubbish Removal Today! No household rubbish removal job is too big or small for Paul. For an instant FREE QUOTE, don’t hesitate to inquire more about our services, please give us a call today on 0407 125 125. Our attentive staffs are ready to answer all your questions. Not only do we take care of all your household rubbish needs, we also provide full office rubbish removals, deceased estate cleanup, construction rubbish removals, white goods removal, end of lease rubbish removal services. 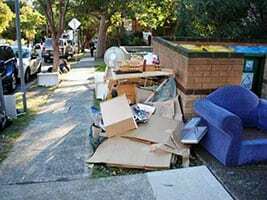 For immediate household rubbish removal service in Sydney please call Paul today on 0407 125 125 for a FREE QUOTE.